So what are ADD and ADHD? Essentially, ADD (Attention Deficit Disorder) is kind of the “old school” name for the condition that is now referred to as Attention Deficit/Hyperactivity Disorder (ADHD), with 3 recognized types: Primary Inattentive, Primary Hyperactive-Impulsive, and Combined. Some experts believe the term “deficit” in the diagnosis is a bit of a misnomer, stating “deregulation” is a more accurate description of the condition, as patients aren’t necessarily lacking attention, but rather lack the ability to focus attention in the desired direction, at the right time with any consistency. ADHD is a complex brain disorder that is not bound by age, affecting children and adults. Many times, symptoms become apparent in school-aged children when teachers and parents start to notice forgetfulness, fidgeting and inability to focus on tasks. While ADHD impacts about 9-11% of children, nearly 5% of adults in the United States also struggle with the condition. Although males are 3 times more likely to be diagnosed with ADHD, currently adult females make up the fastest growing population of ADHD diagnoses, and there has been a 42% increase in ADHD diagnoses over the past 8 years. People suffering with ADHD can experience cognitive, behavioral and mood symptoms ranging from excitability, aggression, repetition of words, and absent-mindedness, to anxiety and depression. With such a broad spectrum of symptoms ADHD infiltrates every aspect of life including home, school, work, and relationships, and finding effective treatment can be a daunting task. Currently it’s estimated that about 3.3 million children with an active diagnosis are treating their symptoms with medication, 2.4 million are seeking help through behavioral treatment such as talk therapy, and approximately 1.2 million have not received any treatment in the last year. 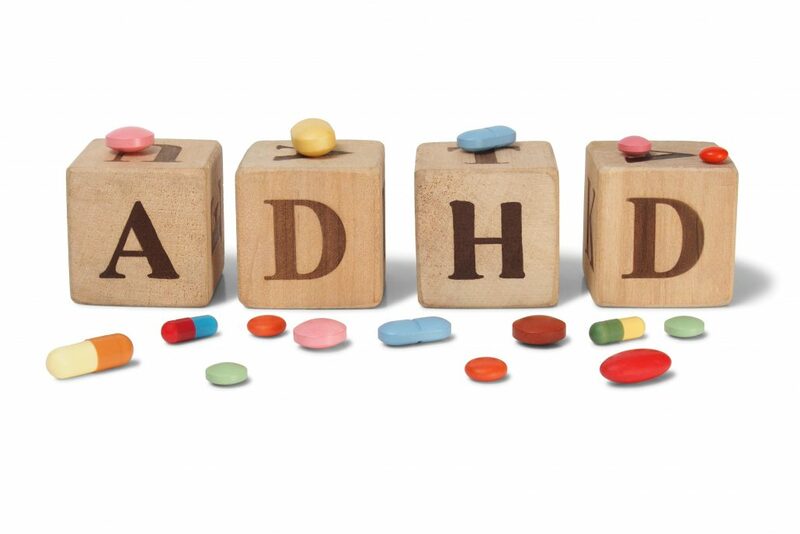 Medication is the most common treatment for ADHD and there are a number of different drugs used to treat the symptoms, with the 3 primary types being stimulants, cognition-enhancing, and antihypersensitive drugs. But as with most pharmaceuticals these drugs can have a range of side effects forcing many patients to choose between staying on the medication and dealing with those negative side effects or discontinuing use of the drug and dealing with less than desirable symptoms associated with the condition. Enter neurofeedback therapy also known as EEG biofeedback. The short story is that neurofeedback can be used to treat symptoms of a laundry-list of neurological conditions. It lets us pinpoint which brainwaves are dysregulated in which regions of the brain and allows us to retrain or regulate those brainwaves in a completely non-invasive and drug-free manner. It’s a simple learning modality, safe for children and adults. There are 2 key components to neurofeedback therapy. The first is obtaining a Quantitative Electroencephalogram or QEEG brain map with the patient’s eyes closed for one recording, then with the eyes open. The map is done by placing a sensor-studded cap on a patient’s head, filling the sensors with a special gel, and recording brainwaves in frontal, central, temporal, parietal, and occipital regions. From this recording the computer software analyzes the brainwaves, looking for specific information like magnitude, asymmetry, dominant frequency and inter-connectivity. This information is compared to a normative database, and medical professionals are able to identify brainwave dysregulation in specific areas and a determination is made on what to train and where. The second component is the training session. These are very simple, often enjoyable sessions where a person can either play a game or watch Netflix to retrain the specifically targeted brainwaves. Over time, and with consistency, the changes made during the training sessions can become permanent and patients start to see their symptoms diminish. My favorite example of how neurofeedback works is perfect for this article because it relates to ADHD. In a “classic” ADHD case a QEEG brain map generally shows increased levels of delta and/or theta waves. Delta and theta waves are considered “brain at rest,” slower processing, waves which seems contradictory since we are discussing a hyperactivity disorder. However, with increased delta and theta waves, the brain stays in this “at rest” state and the typical hyperactivity that is seen is essentially the body trying to keep the brain awake. With neurofeedback we are able to target those delta and theta waves and down train them, or normalize or regulate them, through audio and visual feedback during the training sessions. As the brain waves are regulated and the brain is no longer stuck in this “at rest” state, the body no longer needs to compensate and symptoms such as fidgeting and lack of focus can diminish. As I mentioned, neurofeedback therapy can help treat symptoms of a wide variety of neurological conditions; it’s not just limited to ADHD. At Spencer Chiropractic we are using BrainCore Neurofeedback to help patients suffering with symptoms of insomnia, depression, anxiety, OCD, memory loss, ADHD, PTSD, and so much more. For more information click on the BrainCore tab above or give our office a call to schedule a free consultation 228-575-8660. Your well-being is our number one priority.